Hi there. Just a quick blog post to ask if you could do us a quick favour, whilst you sit down with a brew?? 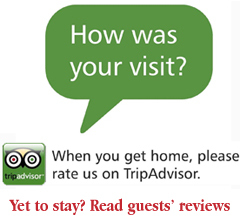 We’ve recently added ourselves to Trip Advisor so we can get more feedback from the people that have been to visit us. If you have been to Our Handmade Collective and can spare a few minutes to rate us or leave a short comment, then please click on this link http://www.tripadvisor.co.uk/Attraction_Review-g186411-d6537779-Reviews-Our_Handmade_Collective-Leeds_West_Yorkshire_England.html and then choose ‘write review’ from the menu bar at the top centre of the page (see red circle in picture). And finally…. if you’ve still got tea in your cup and you really like our little shop then please nominate us for ‘best place to shop’ and ‘best new business’ in the Leed Love Affair Indie Awards. 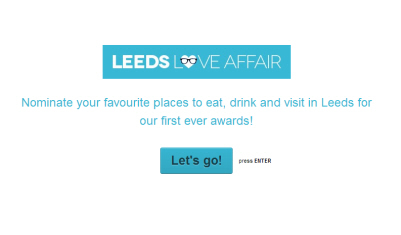 Please click on this link http://leedsloveaffair.co.uk/news/leeds-love-affair-indie-awards-2014 and then click on the ‘Let’s Go’ button to answer 5 quick questions about Leeds! Many, many thanks. We hope to see you again soon! This entry was posted in New Shop, Press and tagged Feedback, Grand Arcade, Independent Retail, Indie Awards 2014, Leeds, Leeds Love Affair, Shopping, Trip Advisor. Bookmark the permalink.